NEW YORK—Imagine your most memorable moments captured in a painting. The scene could be of time spent at leisure, without a goal in sight, talking with friends outdoors in mild weather. The conversation is lively, sometimes heated, but there’s no finger-pointing whatsoever. You challenge each other to think in ways you had not anticipated before taking that relaxed, outdoor stroll. While you are in the middle of such intellectual stimulation, off to the side, under the shade of the trees, young couples are flirting while children play and a dog runs around. Now, imagine this painted scene of your small outdoor party but you are wearing elegant, 18th-century clothes. Add to the canvas some cherubs playfully swirling in the sky among the puffy white clouds, and you have what is called the “fête galante”—literally translated from French as the “gallant party.” Fête galante is an art genre and musical style that Jean-Antoine Watteau initiated with his painting “The Embarkation for Cythera,” which he submitted to the French Academy in 1717 and which can be seen in The Louvre Museum today. 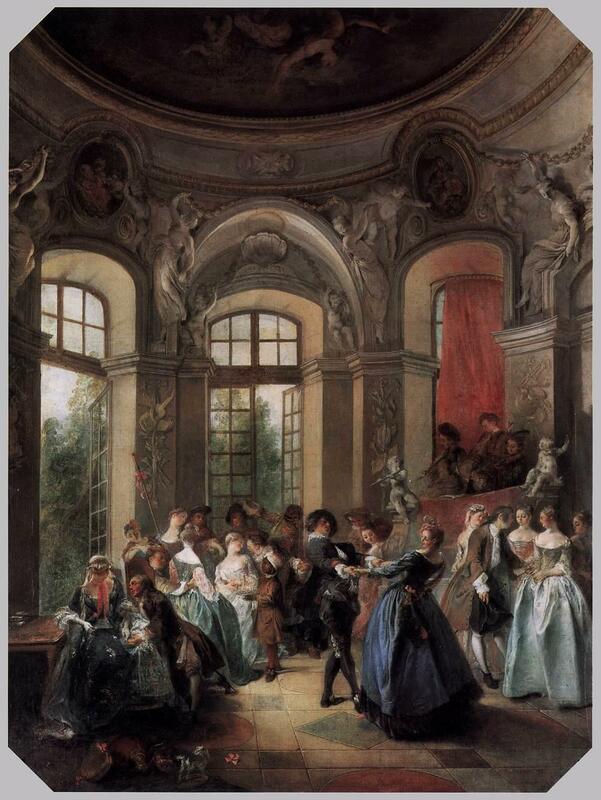 Other fête galante paintings can be seen in The Metropolitan Museum of Art and in The Frick Collection in New York, in The Wallace Collection in London, in the Charlottenburg and the Sanssouci palaces in Berlin, and in the Fuji Art Museum in Tokyo, among other collections. The music that stemmed from fête galante is light and undemanding, with subtleties of expression that can persuade you ever so gently. 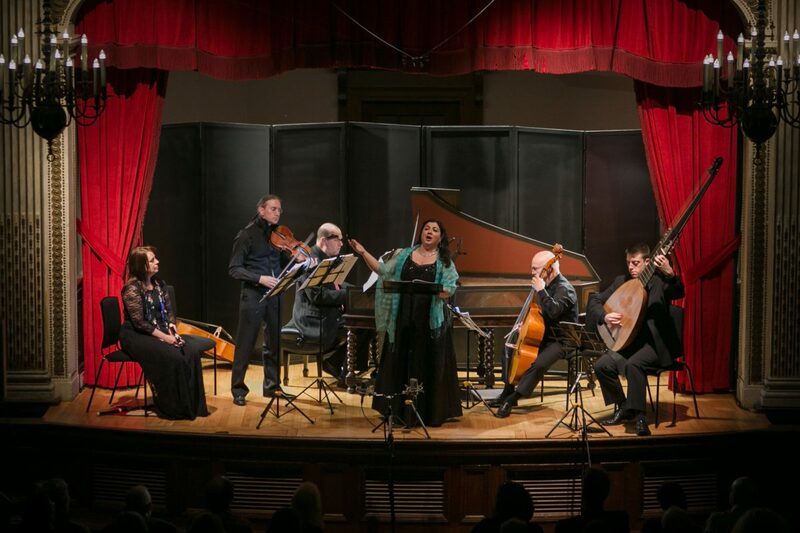 It was the theme of the last salon event of the season of Aspect Foundation for Music and Arts, on May 17 at The Italian Academy at Columbia University. 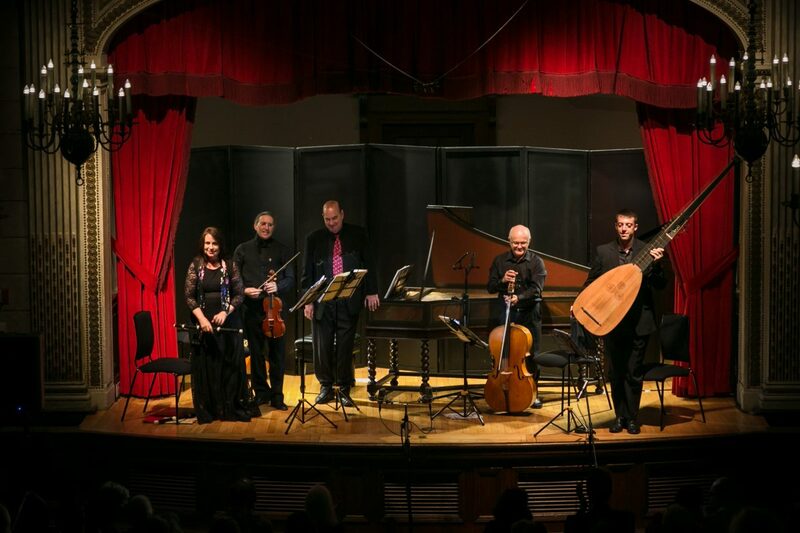 Harpsichordist Andrew Appel and violinist Olivier Brault of The Four Nations Ensemble, with soprano Sherezade Panthaki, cellist Jaap ter Linden, flutist Kathie Stewart, and theorbo, lute, and Baroque guitar player Adam Cockerham performed pieces composed by Jean-Marie Leclair (1697–1764), Louis-Nicolas Clérambault (1676–1749), François Devienne (1759–1803), and Georg Philipp Telemann (1681–1767). 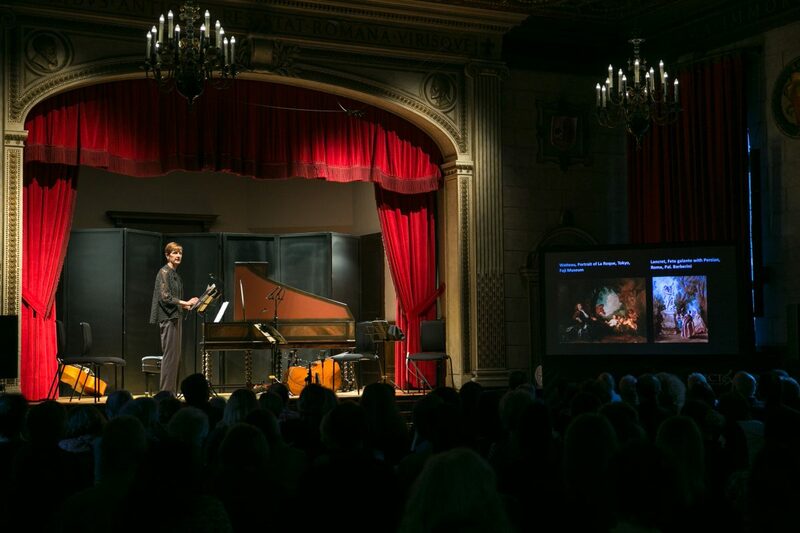 This salon concert was as much about how paintings inspired music as about how music conjured images of paintings from the Age of Enlightenment. That was an age when conversation and civilized disagreement was really valued as a means to gain knowledge. Reason was valued for discerning the truth of a matter, as well as the ideals of tolerance and friendship, and the separation of church and state. 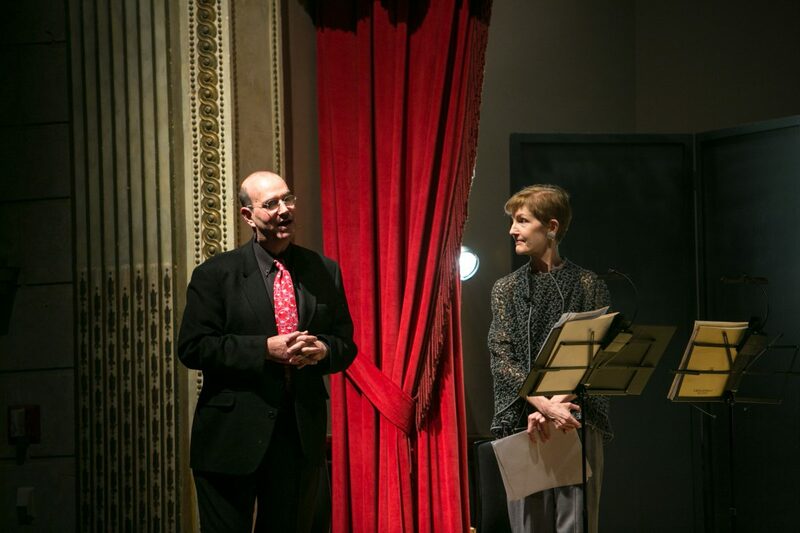 Together with harpsichordist Andrew Appel, the Baroque and Rococo European art historian Mary Tavener Holmes gave an illustrated talk before the concert. “The fête galante is an Enlightenment instrument par excellence; this was a very curious time. People were not interested in the boundaries of human behaviors. They were interested in transcending them. … What the fête galante is not about is almost as important as what it is about,” Holmes said. “It was not designed to be pinned down. It is a very fluid, a very flexible genre of painting, much like the time in which it was invented. That’s part of its charm and much of its importance,” she said. She showed images of paintings by Jean-Antoine Watteau (1684–1721), Nicolas Lancret (1690–1743), Charles-André van Loo (1705–1765), Thomas Gainsborough (1727 (baptized)–1788), and Adolph Menzel (1815–1905), among others. Describing the paintings, she said, “It’s about what people do when they talk to each other, when they dance with each other, when they sing to each other, when they play games with each other, when they walk their dog, when they go outside and engage. They are not spearing each other. … It’s really simply about their being and their interaction,” Holmes said. In the envelope of the fête galante, a painter could fit a wide variety of activities. Some fête galante paintings also include stock figures from the Italian commedia dell’arte, as stand-ins for human behavior. When you see Harlequin, you know he is making fun of everybody. When you see his mistress, Colombina, you know that Pantalone, the greedy old man, will never get the girl. When you see Il Dottore, the doctor, you know he stands in for a know-it-all, and so on. 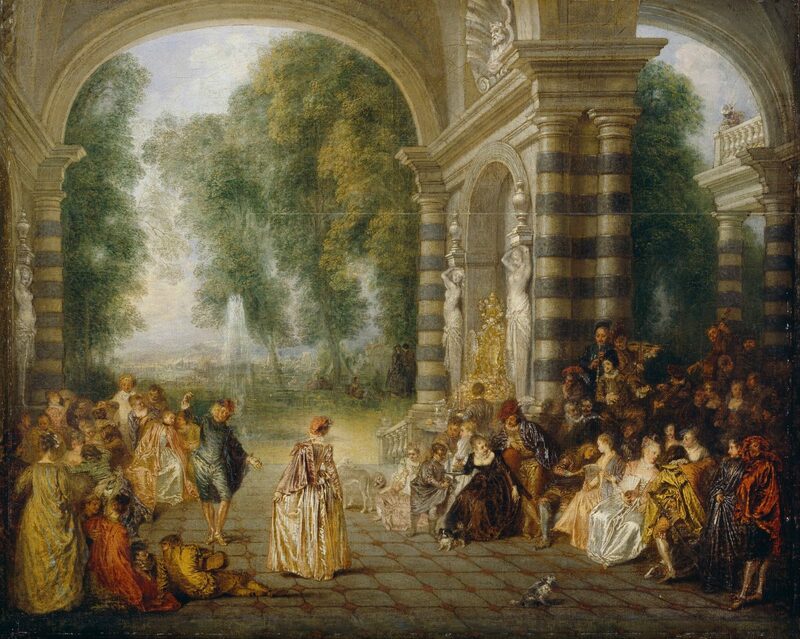 Around the turn of the 18th century, French Baroque composers, who had mastered the grand style of counterpoint, created the galant style that corresponded with the fête galante painting genre. “We begin to hear light, luminous, perfumed pieces that don’t have the sense of majesty of the Baroque structure. There is a tenderness that takes over this music,” Appel said before the intermission. When Panthaki sang the “L’Isle de Délos” cantata by Clérambault with her pure, luminous tone, you could easily imagine the beautiful garden landscape of a fête galante painting. The Baroque violinist, composer, and dancer Jean-Marie Leclair created musical pieces that he called “recreations.” “No one calls a musical piece a recreation except for Leclair,” Appel said. They are essentially the fête galante in music, articulating the pleasures of leisure. One of the pieces is a grand chaconne, usually associated with the high court ballet of Louis XIV, Appel said. 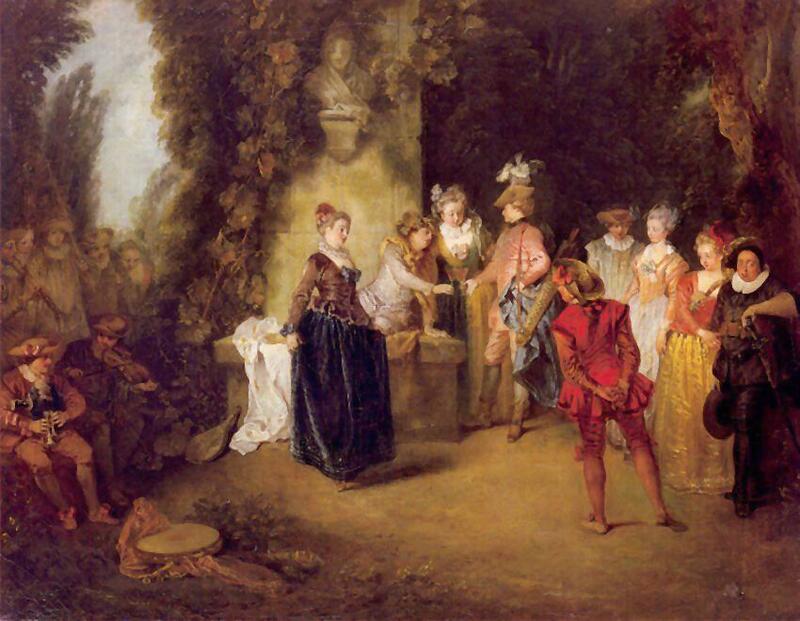 While there is an allusion to the ballets of Louis XIV’s court, “the kind of pure pleasure of this chaconne is not the chaconne of Louis XIV, but it is the chaconne of the fête galante,” he explained. 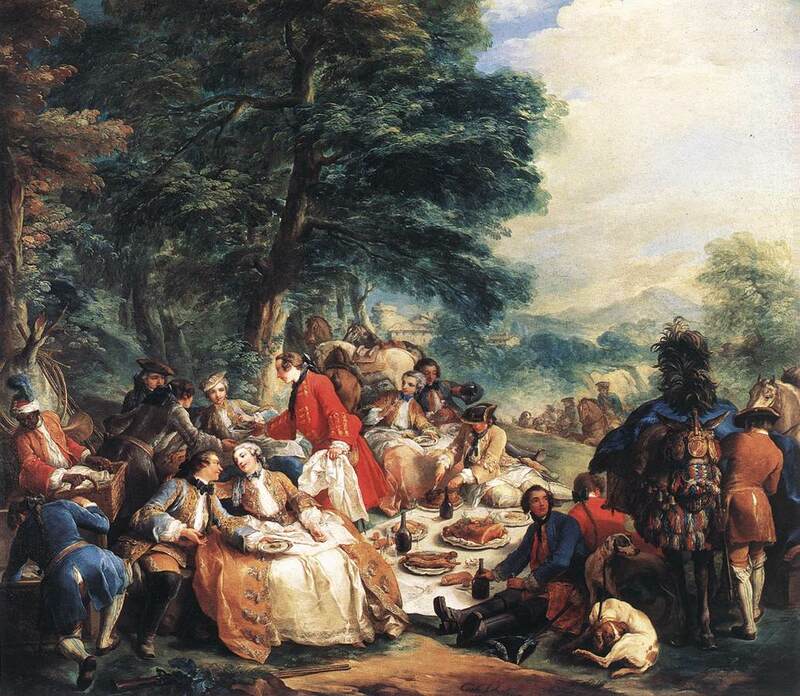 The fête galante came about in France after the death of Louis XIV in 1715. After a series of man-made and natural crises took place—economic debt, wars, long and freezing winters, smallpox—rich people in Versailles retreated to the more intimate townhouses and hotels that they had built in Paris. There, they could to some extent dodge the hierarchical order of the church and the royal decree. 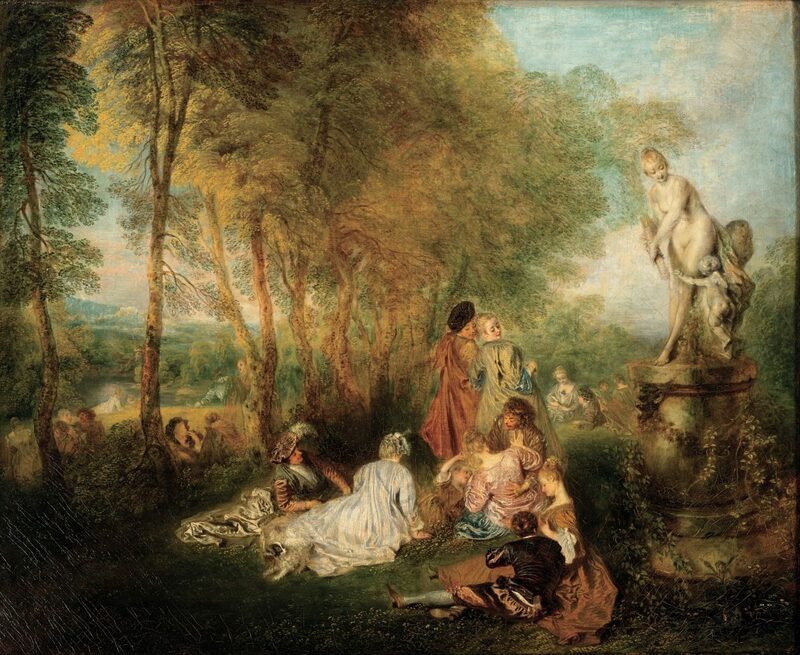 When Watteau applied to join the French Academy in 1717 with his “Cythera” painting, the academy created the new category of fête galante in order to accept him into the academy. Eventually, the fête galante started to become ignored, especially around the time of the French Revolution. “There is a part of the human condition that the fête galante simply does not address, and that is the human urge to have an intentional story, and the human need to be told what to do,” Holmes said. “The fête galante is an art that does not instruct. It doesn’t even advise; it just watches with empathy. It watches the frailties, the longings, the desires [of people]. It doesn’t comment, and it certainly doesn’t tell you how to get out of it or how do a better job. It is simply not about that,” she said. The second trend of the 18th century, starting with the rediscovery of Pompeii and Herculaneum, was the emergence of neoclassicism as a huge aesthetic, political, and moral force. It compelled many artists to travel to Rome to sketch and paint what was before referred to as a cow field, the ruins of the Roman Forum. 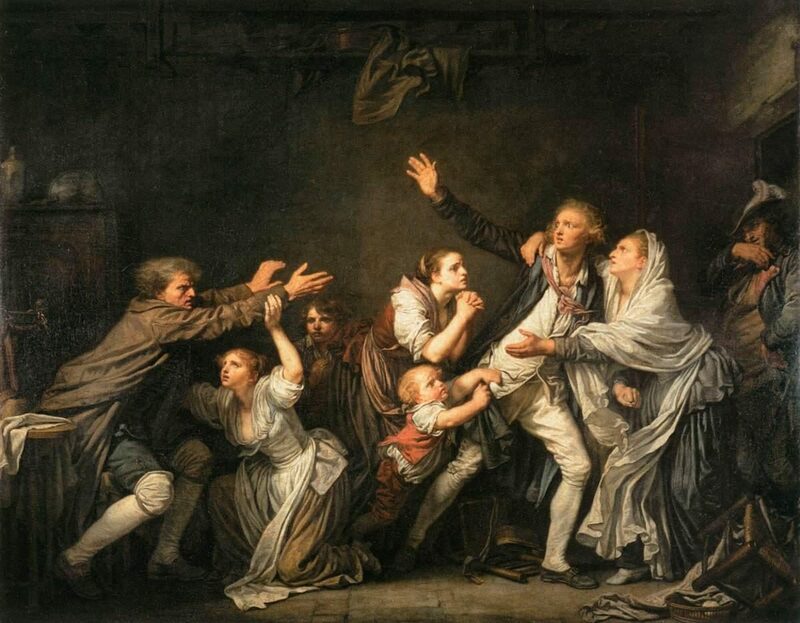 A fête galante work would never, ever tell you such a direct story, as seen in Greuze’s paintings “The Father’s Curse: The Ungrateful Son” and “The Father’s Curse: The Son Punished.” They basically convey a prodigal son type of story. But the son is cursed because when he returns home, he finds his father has just died and he’s is unable to ask for his father’s forgiveness. 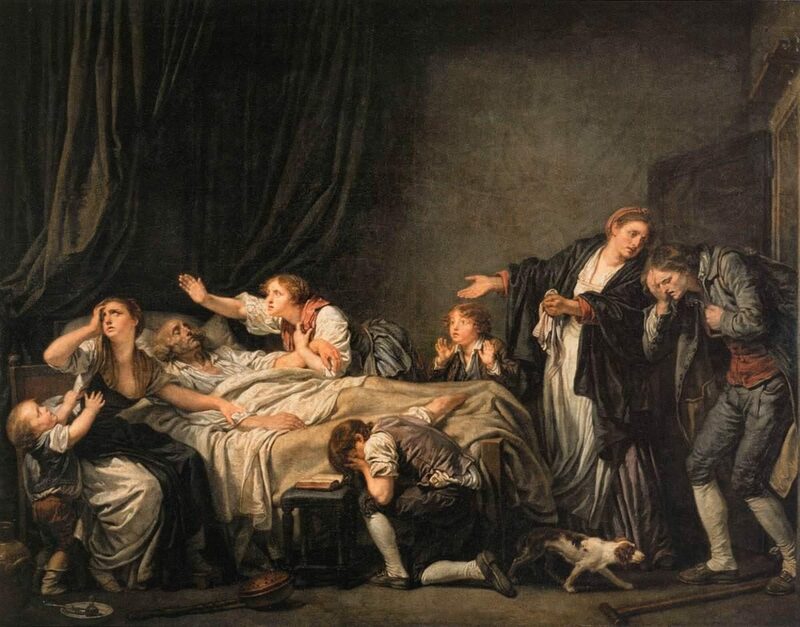 These kinds of overt narrative paintings would in a sense sound the death knell of the fête galante, but not entirely. While the taste for non-narrative scenes became sour, the fête galante style was imported from France to the court of Frederick the Great, the King of Prussia, where it became popular. 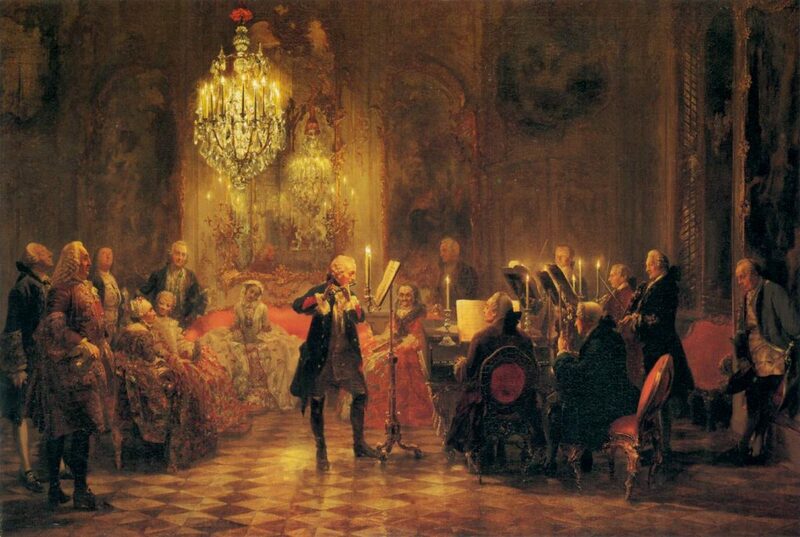 Enamored with French and Italian art, Frederick the Great brought painters to his court, like Menzel. One of the world’s largest collections of fête galante art can still be seen in Charlottenburg Palace in Berlin today. And with regard to music, Telemann, after visiting Paris, was inspired to return to Germany, “determined to bring the spirit and the texture of the fête galante to chamber music,” Holmes said. While the fête galante emerged and faded away during the French Revolution, great art always has the resilience to reemerge. Naturally, our interpretation of these paintings changes over the centuries, but we are still able to connect with them because they are about the human condition. 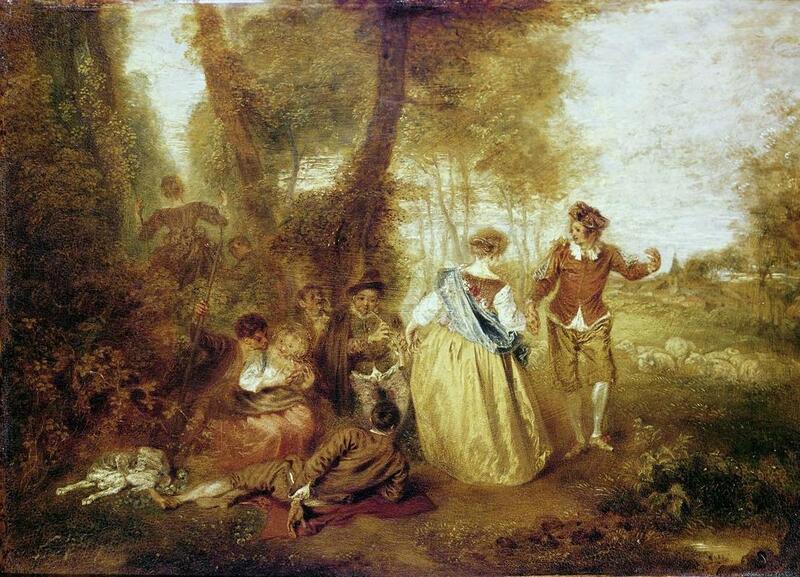 “Around 1715, Watteau crossed the boundary that in art separates men of high professional competence and even originality from those geniuses who are able to create new worlds of vision,” Holmes said, reading a quote from the Baroque art scholar Donald Posner. 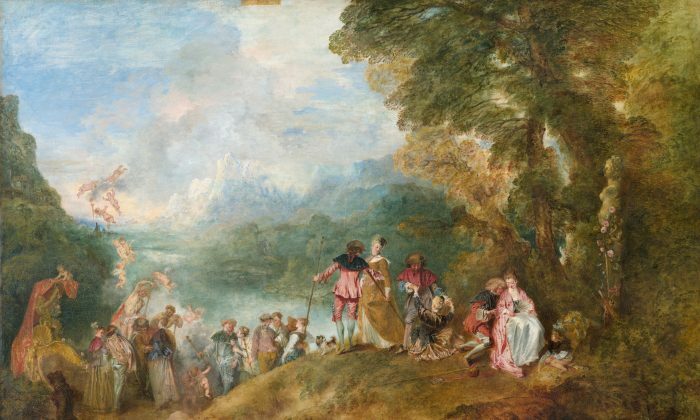 “That’s really a definition for all of those kind of artists who are just somehow a step above in a way that is hard to define; and Watteau is one of those, and his new world of vision is the fête galante,” Holmes said.